“[Convicted cop-killer Judith Clark] was a 31-year-old career felon with a baby at home, not some young 20-something,” Tiernan said. Over 300 people gathered on Rockland Courthouse’s east lawn, as bomb-sniffing dogs and off-duty law enforcement personnel gathered together to show their support for keeping Judith Clark’s original 75 years to life sentence intact. The governor commuted the sentence this week, making her eligible for parole. Rockland County Executive Ed Day, a former police chief, spoke clearly about the havoc and lawlessness convicted cop killer and domestic terrorist Judith Clark and members of her terrorist network not only caused in Rockland County but the entire nation. On October 20, 1981 members of the ‘Weather Underground’ and the so-called ‘Black Liberation Movement’ robbed an armored Brinks truck with $1.6 million dollars at the Nanuet Mall. They were armed with automatic firing rifles and had a complicated and tight knit group of terrorists and criminals to rely on if their plans failed. Three fathers were left slain that mid-fall day, nine children left to grow up without their fathers. Officer Waverly “Chipper” Brown and Sgt. Edward O’Grady were acting on behalf of Nyack Police Dept. and Peter Paige was working security detail for the Brinks Truck. All three men have been remembered every year at a memorial service held at the intersection of Mountainview Ave and Route 59 with full salutes and honors. Nyack police intercepted several of the getaway cars and a deadly and massive gun battle ensued. Off-duty personnel saw the battle and helped apprehend some of the suspects. Clearly there were many co-conspirators who evaded apprehension and disappeared into the underground terrorist network, and others law enforcement officials took decades to catch. According to DA Zugibe, Judith Clark knows of more terrorists involved, but has failed to cooperate with police at any point during her past 35-year jail stay. “For Andrew Cuomo to stand there and call her honest is a disgrace,” said DA Zugibe at the Courthouse rally against Judith Clark’s release. 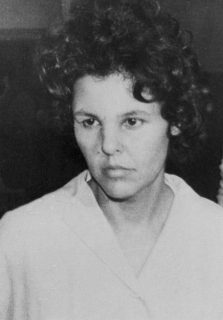 The rally recalled insurmountable amounts of evidence collected on Judith Clark’s extensive involvement with radical groups, and international terror organizations. “Many in the law enforcement community believe Judith Clark was involved in several armored car robberies in the Riverdale section of Bronx and several more armored car robberies in Connecticut,” said Clarkstown Police Officer John Hanchar.